LED Lamps - First Mate Marine Inc.
Cruising mariners know that cabin lighting can consume a significant amount of electrical energy. Fortunately, cabin lighting is simple and relatively inexpensive to modify to achieve energy savings; simply change the bulb. We at First Mate Marine have extensively researched LED lighting technology and have selected the highest quality replacement LED lamps from the best manufacturers we could find. 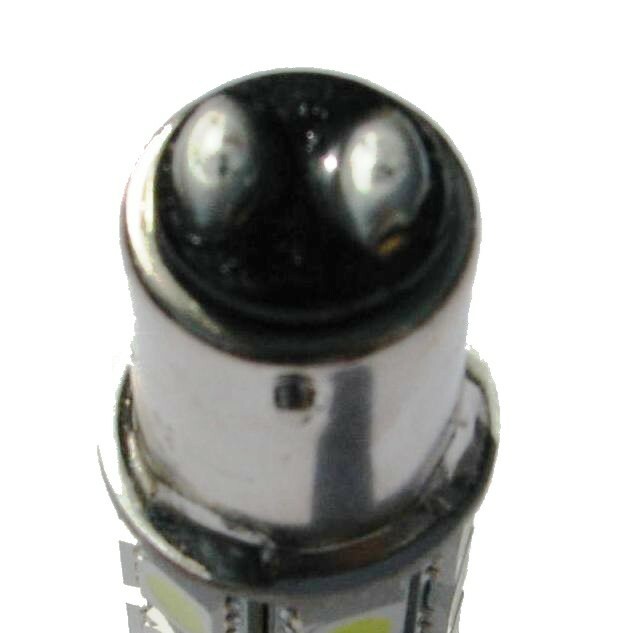 Our marine grade LED replacement lamps are designed to replace both halogen and incandescent bulbs commonly found on boats and RV's, old and new. We do not have a replacement solution for florescent fixtures yet but we are working on it. All of our replacement LED lamps are equipped with a built in voltage controller (Buck Power Converter) to compensate for the variable voltage that occurs in the marine environment being powered by storage batteries. This circuitry ensures maximum brightness and maximum operating life. Only recently has LED technology advanced to the point of offering brightness and reliability that meets or exceeds that of traditional bulbs and at an affordable price. Now our customers can equip their boats and RV's with a lighting system that will use only 10% of the power of halogen and incandescent bulbs and provide equivalent or brighter light. Low power consumption (10% of comparable halogen and incandescent bulbs). Low heat generation with high system efficiency. High reliability and long operating life to minimize maintenance (our built in voltage regulator is key). 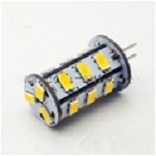 LED’s contain NO polluting material (mercury) and facilitates easy lamp recycling. 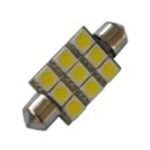 LED lamps can be configured to be as bright or brighter than halogen and incandescent lamps. The light from LED lamps does not distort colors. Color - Our LED lamps are available in two colors; cool white and warm white. Cool white lamps are very white or blueish in color and provide the maximum light. Warm white lamps have a slight yellow tint much like incandescent and halogen bulbs. They are about 5-7% less bright and more closely match traditional lighting. Brightness - The brightness of LED lamps is measured in lumens. The greater the lumens, the brighter the lamp. 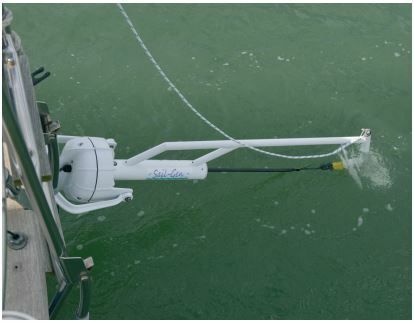 Reliability - The nature of boat electrical systems is to have voltage spikes and variable voltage depending on the charge of the batteries and the power generated by charging systems such as alternators, shore chargers and solar panels. This variation in voltage is often the key factor in LED lamps failing. Thus, the necessity for a built in voltage regulator called a DC/DC constant-current converter also called a Buck Power Converter. All of our LED lamps have one. Options - Bayonet base lamps are available in two configurations; single contact and double contact points at the bottom of the base. 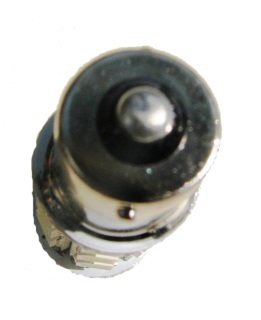 Base pins may also be offset. Special order of offset pins is available. For use in 12 and 24 Volt DC systems. Extra Heavy Tapered Contact Pins and Pin Support Block to eliminate vibration damage. This unit from Southeast Marine Services, LLC comes with regulator, diversion load, fuses, installation manual, other installation hardware and we will help with advice and suggestions which are just a phone call or email away.